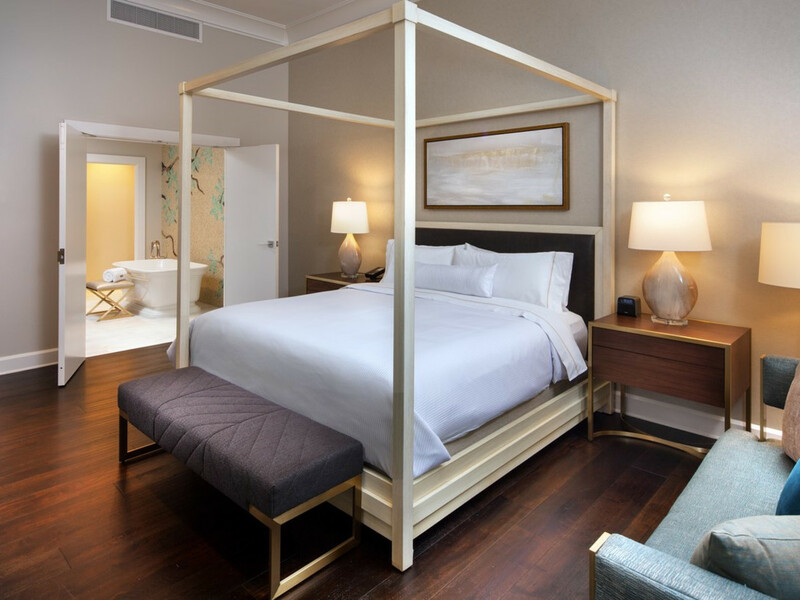 Recently, the Westin Oaks Houston at the Galleria upgraded all its guest rooms, and while that $20 million reno can be felt in every single room, it's especially apparent in its suites. 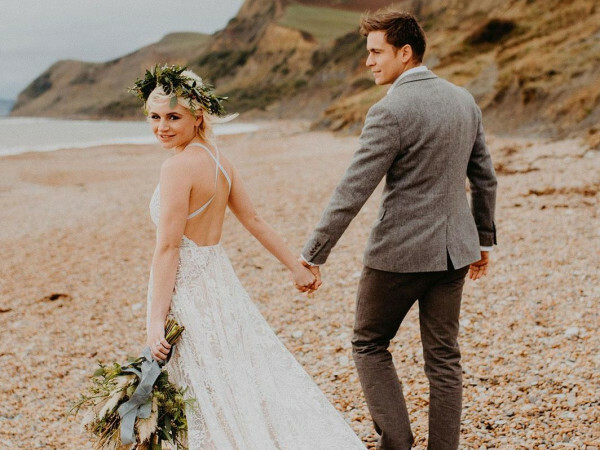 That's convenient for anyone planning a wedding, because each of the suites makes the ideal place to spend your special night, as well as the days leading up to it. 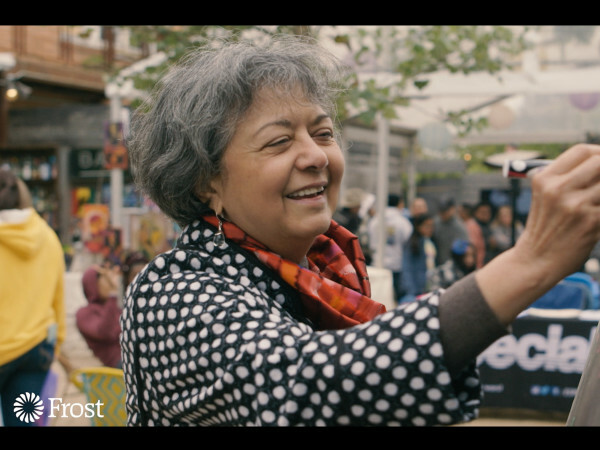 Having everyone in one place, from the pre-party primping right up to the festivities, means not having to shuttle guests to and fro on a day when you should just be enjoying everything. 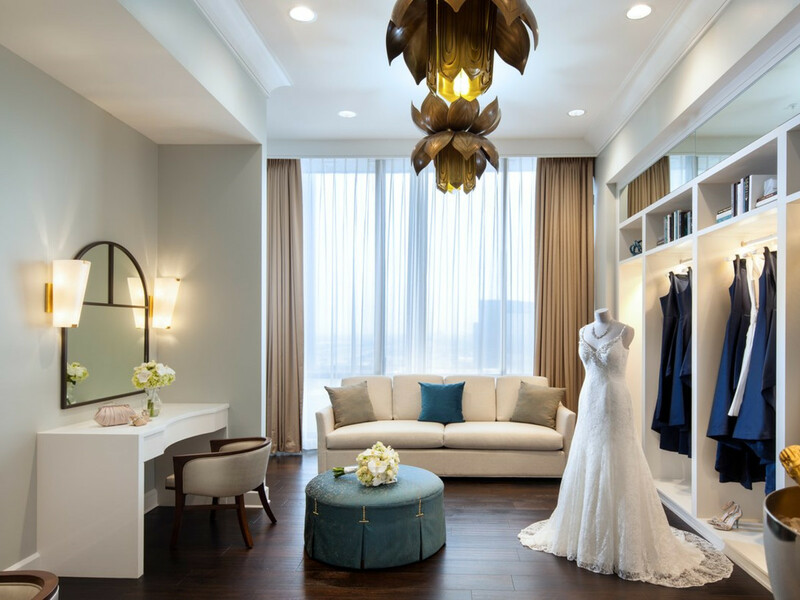 The Unveiled package lets you book the entire suite floor for your wedding party (and don't forget that the rest of your guests can also book the Westin's famous double king rooms). 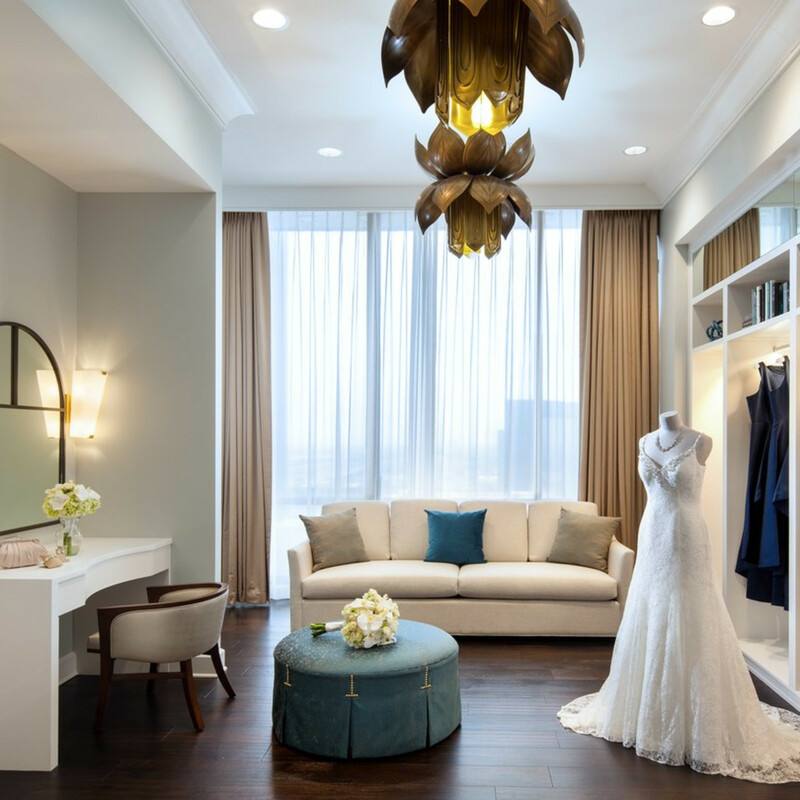 How great would it feel to put up the future in-laws in a swanky suite, then escape to your own for a quiet moment or two as a newly wedded couple? 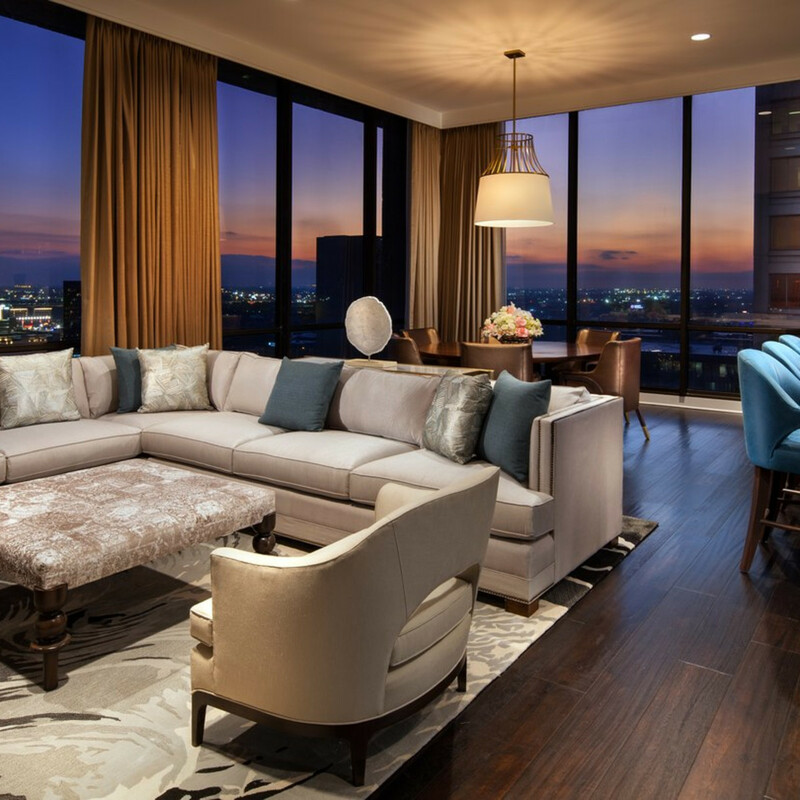 The Heavenly Suite, also known as the Bridal Suite, is 1,925 square feet of luxury. Its bright colors make for an ideal backdrop for getting-ready photos, and its ample space can accommodate the whole gang. Spread out in the living room's sofa seating area and unroll an array of makeup accoutrements on the dining table or island counter. Chill a few bottles of bubbly at the wet bar, which comes complete with a refrigerator and ice maker. There's another wet bar in the ready room, which is outfitted with vanity stations and a reach-in closet with plenty of hanging space for gowns. A guest half-bath ups the convenience factor, while the master bathroom boasts a dual vanity sink, standalone tub, walk-in dual shower, and mosaic backsplash. Keep each of these amenities in mind if you also decide to make this your honeymoon suite following the nuptials. 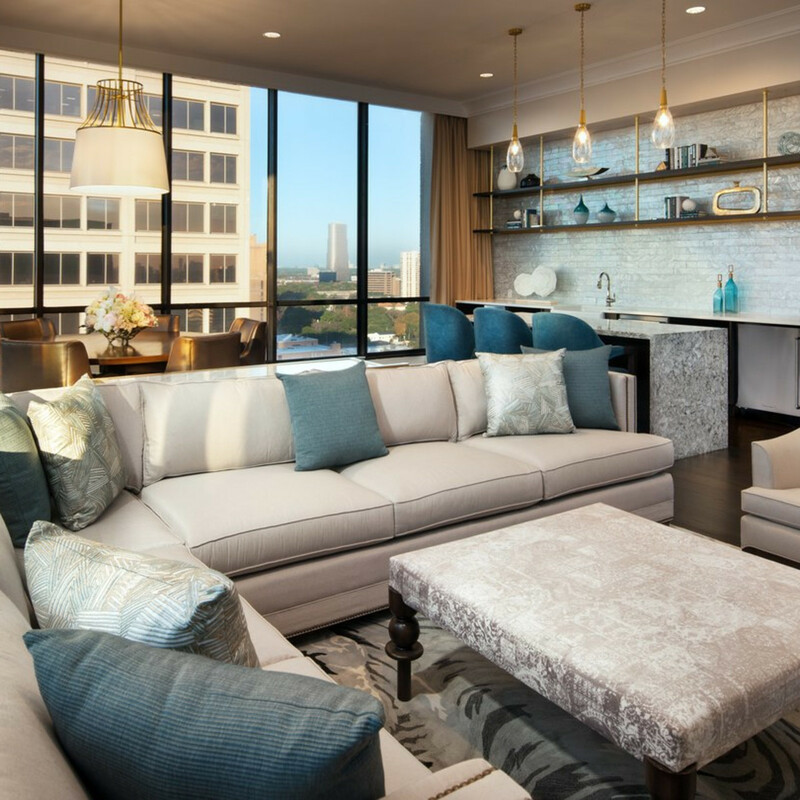 The Skyline Suite was made for the groom, with two 55-inch TVs (one in the large living room and one in the bedroom) to round out the chaise lounge and work desk area. A bathroom with dual sinks and a walk-in dual shower ensures that everyone will be smelling fresh by the start of the ceremony. 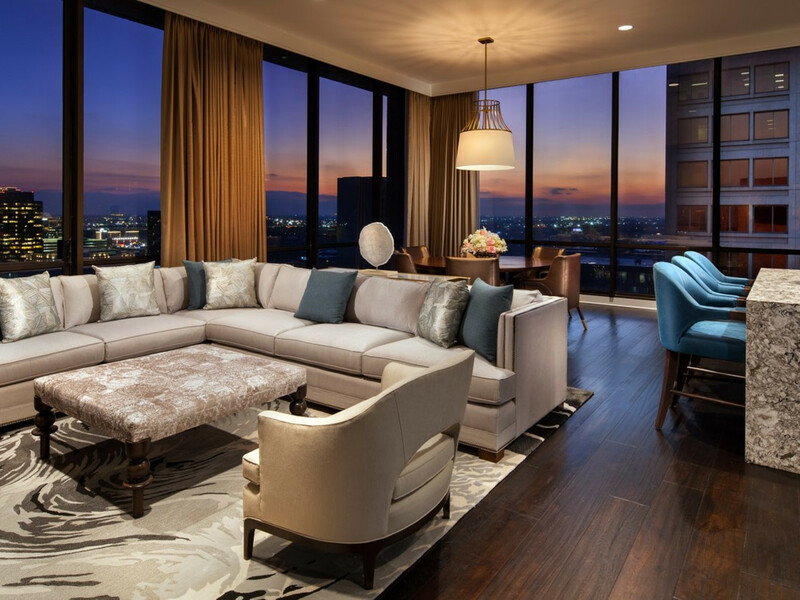 The Texan Suite makes a great thank-you to the parents who helped pull off the celebration, or any friends you want especially close before walking down the aisle (in-room connectors come in handy for larger parties). 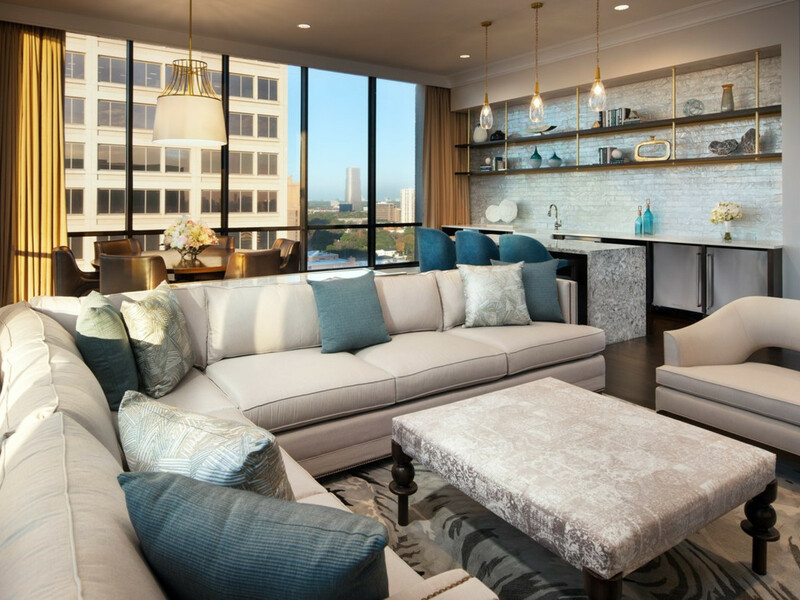 Within the 2,330 square feet, you'll find not only the same living room setup as the Heavenly Suite, but also an adjacent study with another TV and a work desk. There's also a den in the master bedroom that contains a sofa seating area. For powder rooms, you've got that useful half-bath as well as the master bath with its triple-view mirrors, extended sink area, walk-in dual shower, and walk-in closet area. 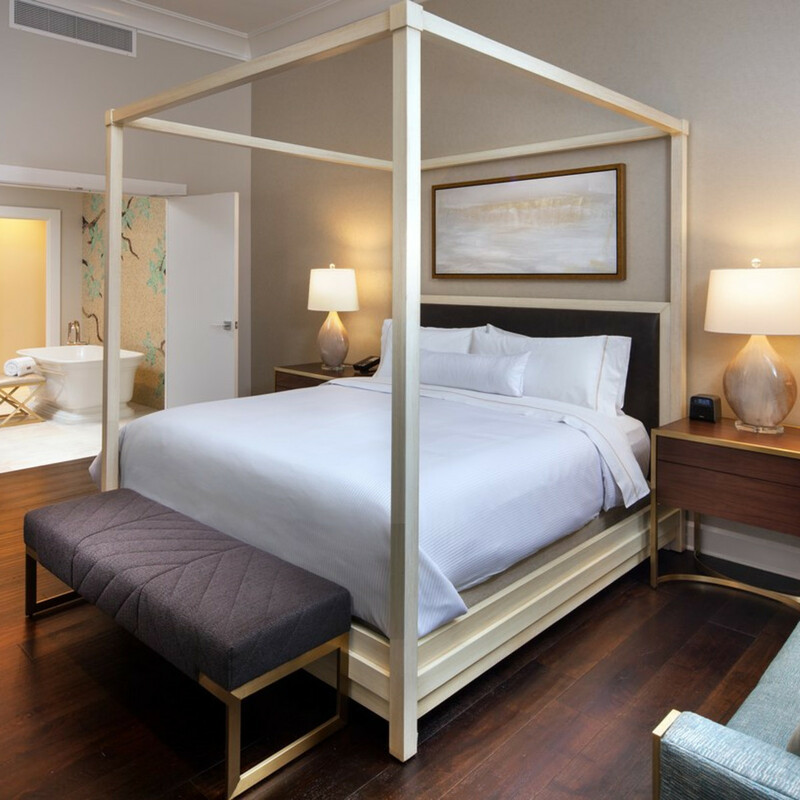 Each suite (and guest room, for that matter) features the signature Westin Heavenly mattresses that you've come to expect from the AAA Four-Diamond hotel. 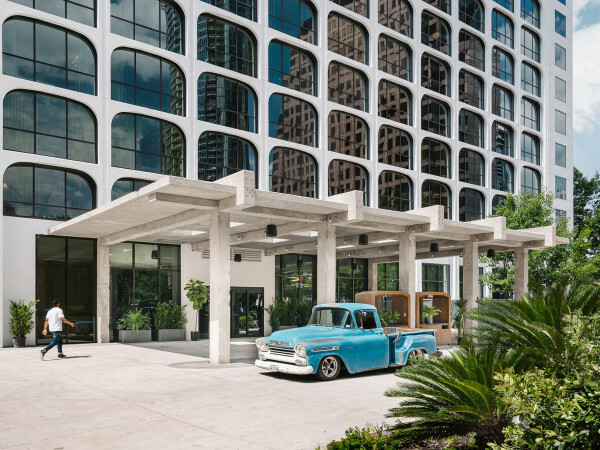 Its location is pretty luxe as well, being connected to the country's fourth-largest shopping center, The Galleria. Your guests will have no problem finding fun activities to do before or after your big day. To contact Westin Oaks Houston at the Galleria's catering team and start planning your dream wedding, visit the website or call 713-770-6267.